Rong in Chinese means“melting”. By deconstructing the traditional crafts Rong designers turn them into contemporary design. Rong design exhibition takes 5-year as a circle. For the first circle we focused on 5 traditional Chinese materials: bamboo, silk, mud, copper and paper. For the next 5 years, we are focusing on 5 crafts: SǔnMǎo , dyeing, weaving, casting and knotting. SǔnMǎo-Chinese Joints is a traditional Chinese way for connecting woods. This technique can be applied to big structures, like buildings and bridges, but also to small object like furniture and windows. Ancient Chinese craftsmen used advanced wood joints to complete the threedimensional structures. Nowadays the hardwood materials gradually faded. In which direction will SǔnMǎo-based design go? “RONG” 5 years, 5 Chinese Crafts (bamboo, silk, mud, copper, paper).Rong in Chinese means melting, deconstructing the traditional craft and applying them in contemporary design. Based on the Bamboo, Silk, Mud, Copper and Paper which are five of Chinese traditional material, and almost one hundred relating crafts workshops, we visited more than 30 natural villages, more than 2000 kinds of material, and invited 50 designers from different fields to do the contemporary design, showing about 70 pieces of design works.At the same time, after five years of exhibitions and the study of traditional crafts and materials, the Chinese Traditional Craft and Material Library has been built and 5 kinds of crafts and nearly 500 traditional materials will be published. “Rong-Copper” Co-organizer: Hangzhou ROBAM Appliances Co., Ltd.
[rong] in Chinese means melting and fusion, and that is the core of the philosophy. 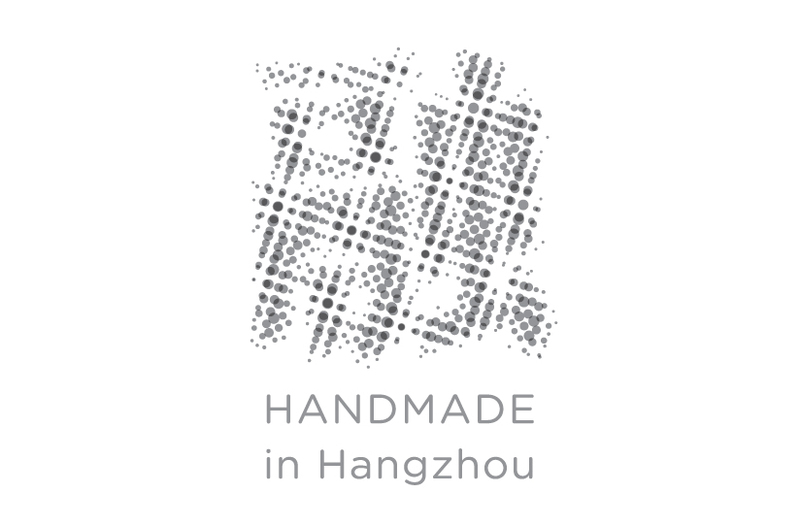 17 designers from different design fields (product, furniture, fashion, jewelry, textile, porcelain, photography and graphic design) deconstruct the traditional craft of Hangzhou and apply them in contemporary design. The final product focused on 5 Chinese traditional materials (bamboo, silk, mud, copper and paper) , and exhibited around the World from 2013 to 2017.The material of 2015 is mud. Designers: Wang Zhuo, Jiang Xinhe, Sun Jinjin, Sun Xin, Huang Haiwen, Yao Lu, Wang Hong,Zhang Yiyang, Shen Ruofan, Tay Ung, Jovana Zhang, Chen Haoru, Chen Min, Qian Zhichuan, Ma Liangxu, Chen Feibo, Wang Shenghai. Rong in Chinese means melting and fusion, and that is the core of the philosophy. 17 designers from different design fields (product, furniture, fashion, jewelry, textile, porcelain, photography and graphic design) deconstruct the traditional craft of Hangzhou and apply them in contemporary design. The final product are focused on 5 Chinese traditional materials (bamboo, silk, porcelain, copper And paper) from Hangzhou, and exhibited around the world from 2013 to 2017.The material of 2014 is silk. Designers: Lu Jingyi, Nicole Goymann, Ding Ning, Xu Yanhui, Christoph John, Pan Jie, Qian Zhichuan, Zhang Junjie, Zhang Xiaochuan, Ma Liangxu, Zhang Yang, Wang Shenghai, Jovana Zhang, Vincenzo Vinci, Liang Haijing, Liang Xiao Ye, Ji Lingzi. Photographer PanJie re-created design works with west lake by camera. This is Video <Rong, from Wesk Lake to Louvre>. From Hangzhou to Milan and Lugano, 13 designers and 13 craftsmen, 120 days, 15 villages. They will show 18 design works in Triennale Design Museum in Milan Design Week 2013.